We recognize the potential liability caused by a defective product and the need for assured disposal. We offer assured product destruction to ensure your defective materials are properly disposed and can never be reused! 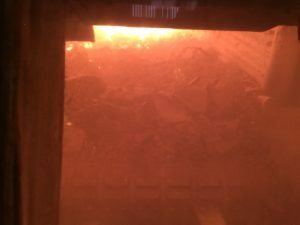 We are highly qualified and experienced in handling sensitive waste streams and making certain that materials are destroyed completely via incineration. We have incinerated various products and even shredded currency to ensure it is completely destroyed. With both our confidential document destruction services and our product destruction services, we will provide tracking from the time of pick-up to the point of destruction. We also offer witnessed incineration of materials for highly sensitive waste streams. We have provided assured destruction services to both the private sector as well as government facilities. Once materials are destroyed, we provide a certificate of destruction and a weight ticket to demonstrate the completed destruction. Contact us to discuss your needs for assuring your expired or defective products are destroyed!